To apply for a job at Marks and Spencer online, you need to visit careers.marksandspencer.com or marksandspencer.com/careers to land on the Marks and Spencer jobs page. 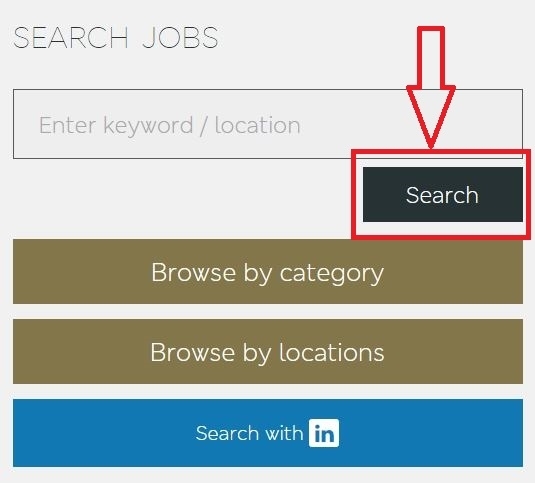 And click "Search Jobs" to find a position you like. You may browse job openings by category or locations or you may search by entering keywords or location as well to find a job which is desirable for you. 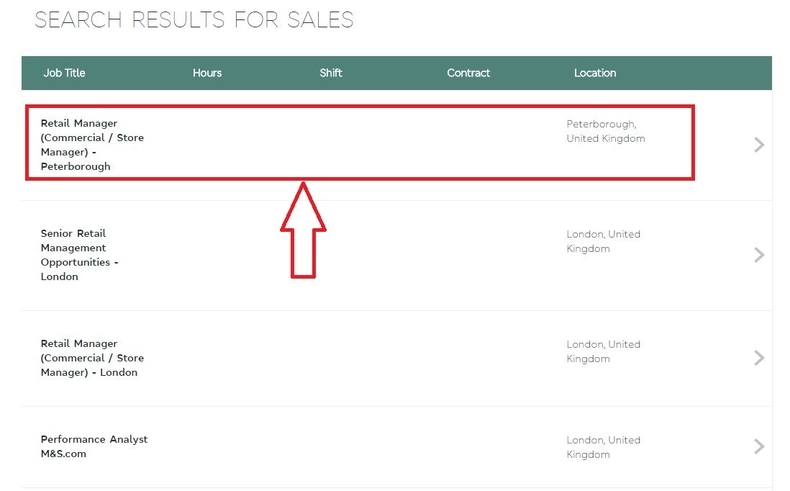 When you enter "Sales" as the keyword, you may see there are many results related to your search. Please choose one that satisfies you and click it to go on. 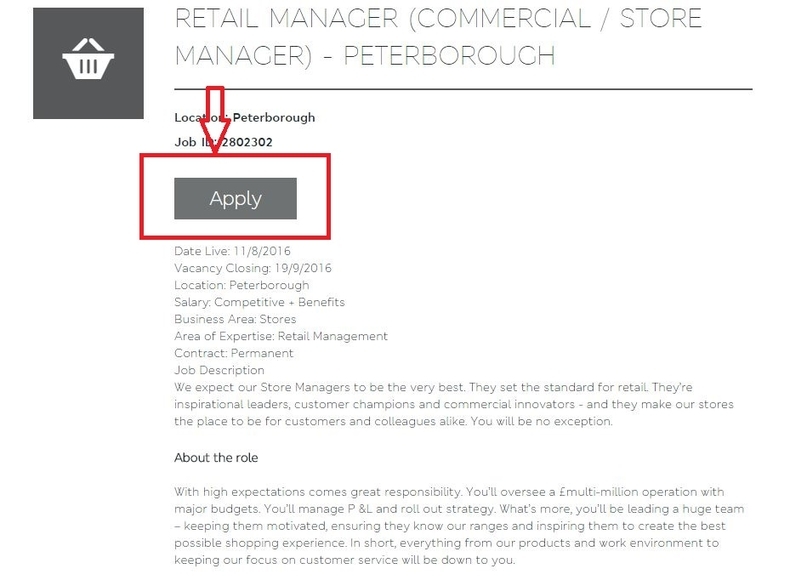 Let's take retail manager in Peterborough as an example. Please look through the detailed information of the position you chose in the last step in case that you can't meet any of the requirements or you don't like the nature of the job. Please click "Apply" if you've already made up your mind. Are your a registered user on this site? 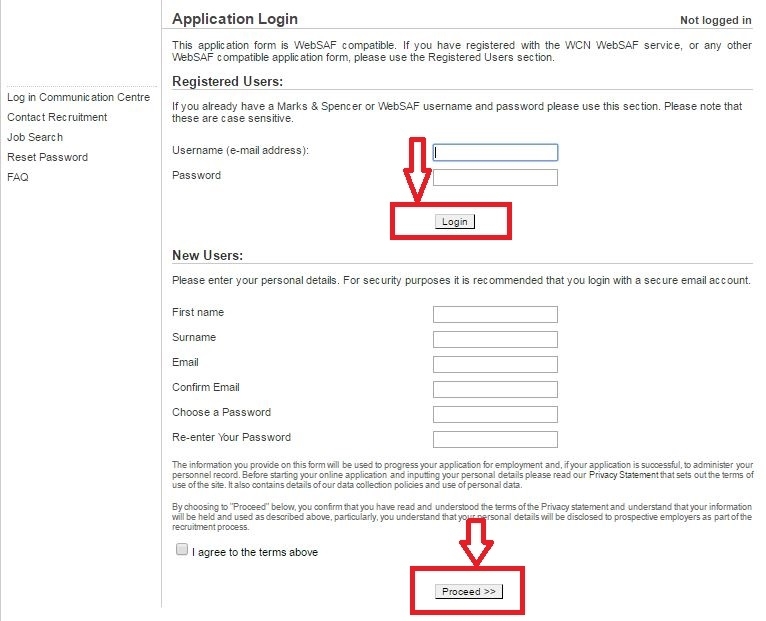 If you are, you may log in with the valid username (e-mail address) and password. If you are not, please register a new account on the middle bottom of this page first. Remember to select "I agree to the terms above". These questions test your eligibility to take the job. Select an answer from the drop-down list of each question. And then click "Save and proceed" to continue. 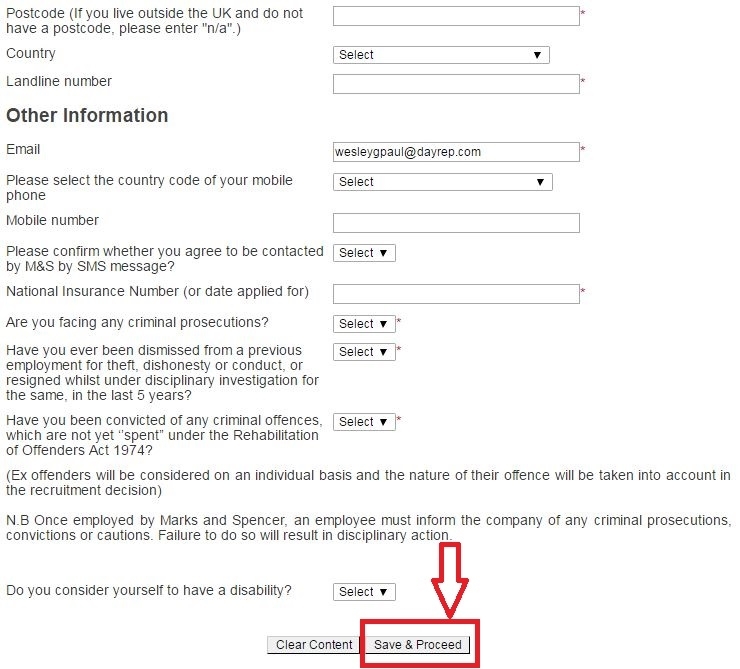 Fill out some personal information including your name, address, e-mail and phone number in this step. Please enter your contact information accurately as it is an important source for your employer to find you and notify you for an interview. There are five remaining steps. You are going to complete all the procedures: enter your background and requirements, upload CV and answer some multiple choice questions shown in the progress tracker on the left. 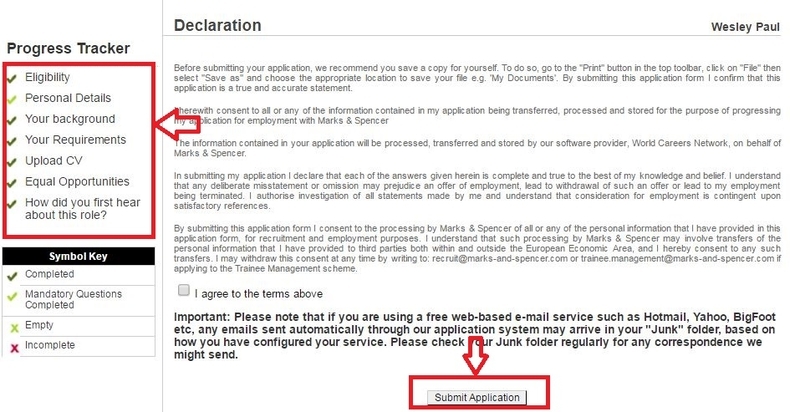 Finally, when you finish all the steps, you may click "Submit application" to finalize it. Click careers.marksandspencer.com to apply for Marks and Spencer jobs online.